The Hana is a rectangular 42 inch x 34 inch corner shower kit designed with clean, modern lines and chic hardware. Its reversible configuration allows for a left or right corner shower installation. As well, the flush mount hinges on the inside glass allow for easy squeegee cleaning. MAAX Essence series knock down shower wall system is made of gel coat fibreglass material is designed to fit the Essence shower bases. This 1-piece seamless look shower wall features the unique patented PIN system. The Essence wall is designed with two large top corner shelves and wide soap dishes with drainage channel allowing for easy maintenance and practical storage solutions. 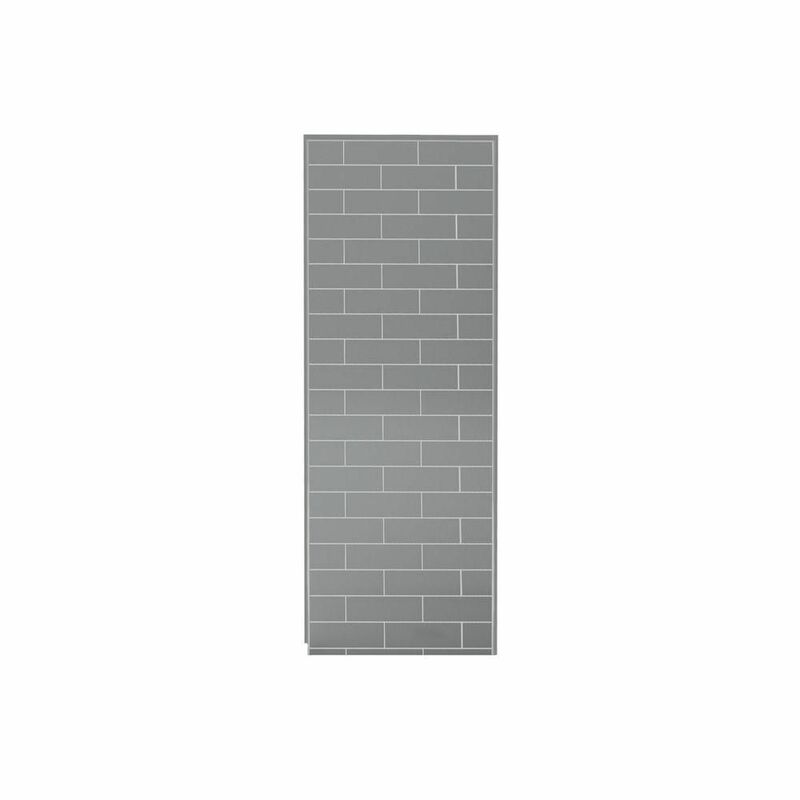 Utile Side Wall 32 In. Metro Ash Grey Create a sophisticated bathroom space with unparalleled ease and speed. Utile by MAAX is an innovative shower wall solution that comes in a range of rich colours, deep textures and stylish patterns that look and feel like tile, yet installs easily in just 1 day versus 3 days for standard ceramic tile.